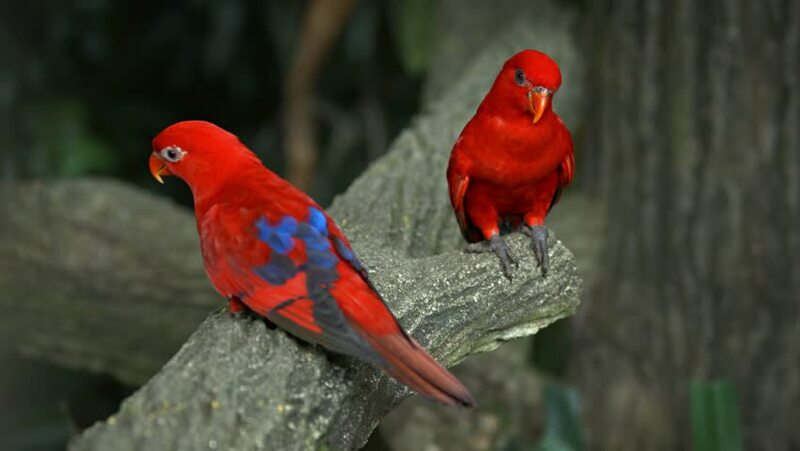 Pair of beautiful red lorikeets. with their boldly colored plumage. perched on a branch in the aviary at a public zoo. 4k00:13A beautiful red and blue Crimson Rosella bird sits on a branch in a eucalyptus tree. hd00:18A colorful, small bird sways on a colorfully beaded swing with wall of greenery and flowers and woven bird baskets in the background. hd00:21KL Bird Park - Colorful parrot dancing. hd00:10Green Bird (Common Green Magpie) in a bird bath from Thailand.